MARTINSVILLE, VA — Hendrick Motorsports has announced Ally Financial as the new primary sponsor for Jimmie Johnson. 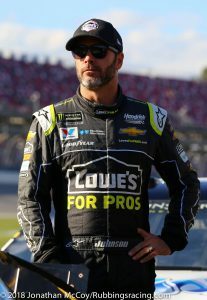 Johnson, who has had full season sponsorship from Lowe’s since his rookie season in 2002, will be undergoing the first sponsorship change of his Monster Energy NASCAR Cup Series career over the offseason. 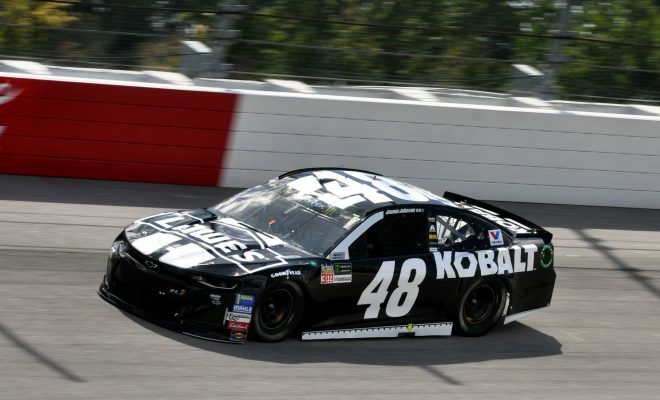 Ally Financial will sponsor the No.48 Hendrick Motorsports Chevrolet Camaro for the entirety of the 2019 and 2020 seasons. 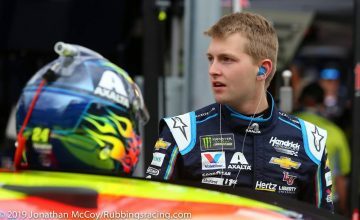 “To enter this new chapter in my racing career and have one sponsor once again I think says a lot about Hendrick Motorsports and the value of this No. 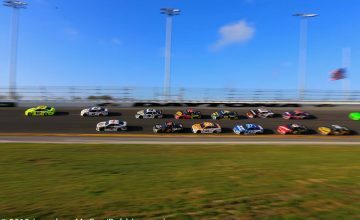 48 car and also in our sport,” said Johnson. Ally Financial is in the business of auto financing and liability protection. Before 2010 the company was known as General Motors Acceptance Corporation. In the past GMAC sponsored HMS from 1993 to 2007. Initially the company was just an associate sponsor before becoming a primary. Jimmie Johnson has won a race in every season of his career, but so far has yet to get a win in 2018. After Martinsville he’ll only have three attempts left to keep his streak in tack. Photo by Jonathan McCoy. “The primary side is done and there are still some associate opportunities on the car; and then obviously my endorsement opportunities. I happen to have a few of my relationships running at the end of their contracts this year, so I’m looking at any and all. Of course, I can’t make any of those moves until we know what our primary is so there’s not a conflict. ← Previous Story MENCS: Kyle Busch wins the pole for the First Data 500, Bowyer to start alongside.